What an interesting book and so well written. It flows calmly through rough waters just telling things like they are in Jack's life. His childhood was horrible--he didn't like his chosen occupation as a lawyer. That's when it all started--he had to become a drug seller to pay his way through college. It describes how, as a broker of human organs, mostly livers or kidneys, he truly feels like he is doing some good. He is never totally comfortable and that feeling becomes worse and worse until he meets his supposed son from the only woman he has ever loved. Then he meets a young boy--one of the foreign donors--things start to change for Jack. He is beginning to really question if he truly is helping people. Then his son comes to him and it turns out his son's lover needs a heart--now Jack is not a murderer and that is what it would take. What Jack ultimately does will take your breathe way. 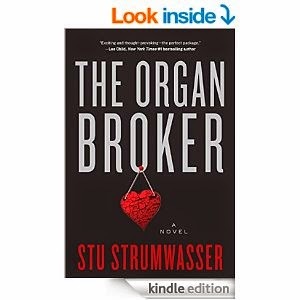 Although this is a novel I am sure there is a black market for organ transplants. In the afterward of the book the author explains what is truly still happening and possible ways it can be stopped. I think everyone should read this book--it is certainly an eye opener! The Organ Broker is the thrilling story of an underground black market organ dealer known as “New York Jack.” For eighteen years Jack has been a “transplant tourism director,” sending wealthy Americans and Europeans in need of kidneys and other organs to third world countries where they would buy them from transplant centers on the take. The death of a client and a newfound relationship lead to a crisis of conscience as he is forced to choose between a two million dollar commission—and participating in a murder. Jack races to South Africa, Brazil, and beyond, just one step ahead of his adversary and the FBI, in search of one small act of redemption. As a disaffected youth in the late eighties, Jack Trayner entered the criminal world, selling coke when he needed money to pay his way through college. Although he later graduated from law school, an opportunity to earn easy money eventually seduced him into the bizarre and illegal black market for organs—a business that some consider horrendous and a small number of others deem to be heroic. The dual nature of this business assuaged Jack’s guilt and allowed him to flourish, yet the death of a client makes what he is doing all too real. The Organ Broker represents Jack’s confession. 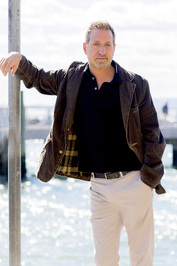 Stu Strumwasser studied creative writing at Cornell University and went on to pursue dual careers on Wall Street and as a musician. Stu was the founder, drummer and primary songwriter in the well-regarded indie rock band Channeling Owen in the 1990s (see picture and songs below). He also continually honed his craft as a writer of socially-relevant fiction. In 2006 Stu left Wall Street and founded Snow Beverages to make natural soda. While at Snow he raised $3.5 million in angel financing and served as the company’s CEO for six years, personally selling in the product line to leading regional and national chains. A passionate entrepreneur, Stu then co-founded Tengrade in 2011. www.tengrade.com is the social rating tool for the internet, mobile devices and social networks, providing users with “Real Ratings” from their friends and people like them, on anything. Stu was born in Queens, raised in Lynbrook, and now resides in Brooklyn, New York with his two school-age, identical twin sons. The Organ Broker is his first published novel. I received a hard cover edition of this book for review purposes. All opinions expressed are my own honest opinions. For more information please check my Disclosure Statement. Our giveaways are in no way sponsored or promoted by Facebook. I was born in Queens! :) This looks to be a great book and review! I am always after my next interesting read and will have to check out the book more! Pretty interesting book to read since its something different - black market for organs. Sounds like a medical drama too since I know this kind of market exists in the third world and sometimes this people are at the edge of the blade, thats why they are doing this. This a book for my husband. He's going to love it. This book sounds very interesting, even though it is not something I would normally read. Great review. Yikes, what a horrifying thing to have to be fighting, but yet there's definitely some duality there. Sounds fascinating! This is such an interesting area of life to explore in the novel. I like novels that pose ethical and moral dilemmas with no clear solution. Sounds very interesting. This sounds like a book that is impossible to put down! It's also neat to know exactly where the author is from. This sounds like something I'd love to read. Unfortunately for me my to read list is about a mile long right now! I've heard about black market organ selling...kinda sick, but you also realize the desperation behind it. I'm sure this book was hard to put down. Wow this sounds really intriguing! I bet these sort of things really do happen - scary! That sounds like another great book. I love that it is a thriller. This sounds like a great read. I love finding good books to read when I get the time. Thank you for sharing. This sounds like a really interesting read. I will have to check it out and add it to my reading list. This sounds like a great, eye-opening book. It's such a change from what I have been reading lately, but I think I'd really like it. This sounds like an awesome story. Its looks like there are some twists and the Black Market end of it spells trouble. Sound like a really good book. I think I need to take time to read a great book. I read a lot but I read on blogging. I need to relax and read a great story like this. This sounds like a very interesting read and love endings with a twist. Like you, I was aware of the whole organ black market. But I guess I was pretty naive as to how common it is. This is a really interesting topic for a book. I do love true-life fiction books. And I don't really know anything about organ donation, so I'm sure I would be fascinated! I haven't read a book like this in a very long time. I may have to break that trend though and give it a try! I have not heard of this author before today! Sounds like a good book to read! This sounds like such a gripping book. The subject of it is so gritty - the organ black market, but I like books that delve into the more gruesome side of the world. An interesting take on a black market for organs. I never thought that people might think they were truly doing the right thing! Sounds like a thought-provoking read! Oh! This one sounds interesting! Another great review, Miki! Wow! I had no idea. This book looks like an interesting and education read. Thanks! I heard about this just the other day but had no idea what it was about! Great review I may pick it up! I remember watching a local TV show with this kind of issue back home. Otgans are being sold for cewrtain price. Sounds like an interesting read. I haven't previously heard of this title or author. I have seen movies about the black market organ donor trade. It is so interesting. I would so read this! That is so scary that there is truly a market for that! This does sound very interesting indeed and this stuff really does happen. I think most people just don't want to believe that organ selling is as bad as it is around the world. Thanks for sharing. This book is definitely NOW on my TBR list. If I recall correctly, there really is a black market for organs. Sounds like such an interesting read I wonder what Jack did when his son came to him for help. Thanks for the review. This book sounds really interesting. Gosh I cant even imagine being an Organ Broker - or being on either side of that transaction! Cool book read! Seems really intriguing an Organ broker oooo!